How can one week change my life so completely? The second photo is the picture I wanted to show the world, to go with the blog I wrote in my hospital room 5 days ago when life was as perfect as it could be. Below is that blog. Then below that, is what happened when my world ended at 3am on Saturday morning, and so the first picture is the one I NEED the world to see. For so long you have lain on my lungs and my spine, my stomach shoved under my left armpit, my bladder squashed somewhere behind my right buttock. But three days ago, they lifted you out and laid you in my arms, your head laid on my heart. For something so small, babies have an incredible capacity to fill every atom of the world around them – you are not yet three days old, yet I hardly remember life before you. You have filled every breath. My lungs are back in place, but the air in them is bursting with the smell of you. We are cocooned in our little world, the occassional visitor entering our womb of wonder but leaving us again. Your gorgeous ginger dad is delighted – his first excited words: “she’s a red-head!” I’m not at all convinced but I’m not going to burst his ginger bubble yet. Daisy and Poppy, your sisters are smitten, and you are already accepting of being pulled and prodded. I am hostage to your lips, smacking and slapping as they clasp my burgeoning breasts, sucking and searching constantly, one deep blue eye occassionally peeking at me, winking, watchful, wonderful. I’m a bit dazed, my c-section wound curtailing my energy bubble, which is supressed by your feeding needs. So dazed and bewitched am I, the Dr thinks I’ve been at the drugs cabinet. As he came in to see me we gazed at your perfection. My delireous smile faltered, I gasped, aghast. There was a cut on your head! How had it happened? How could I have been so careless? I was mortified, embarrassed, guilt-ridden. We quickly examined you, concern turning to confusion on his face, confusion turning to comprehension on my face. “Ah,” I said, taking a lick. “That’ll be a dollop of my mum’s homemade blackberry jelly.” My guilty mid-night feast had been discovered. I am getting to know you, so strange, yet so right. You are mine, and always have been. We were always meant to be and it feels like the final piece of the jigsaw has fitted into place, and now the picture is complete. I made you, but you completed me. 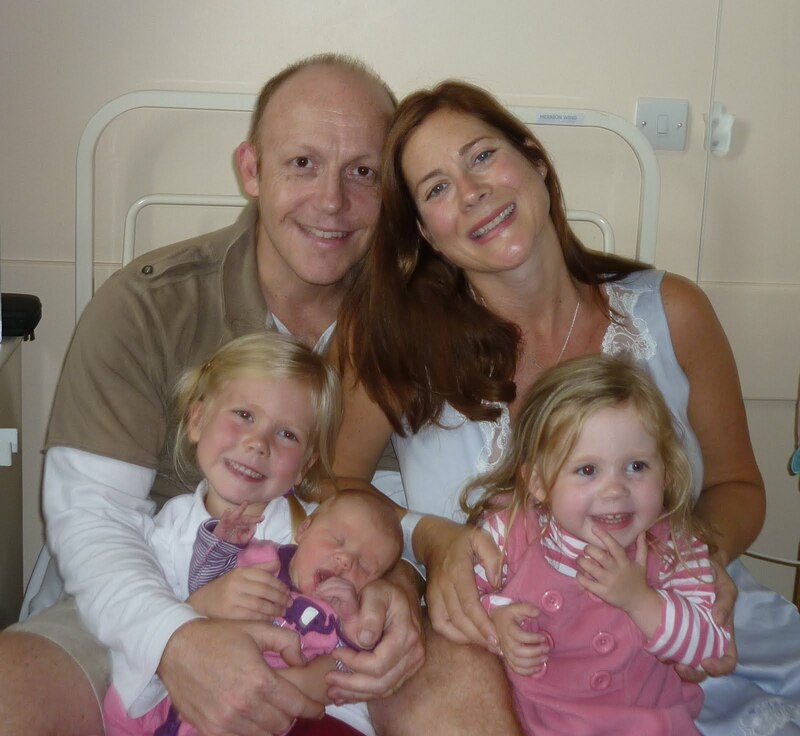 Welcome my love, our Ruby Rose – a little gem in our garden of flowergirls. 4 days later- I am in the darkest days of my life. 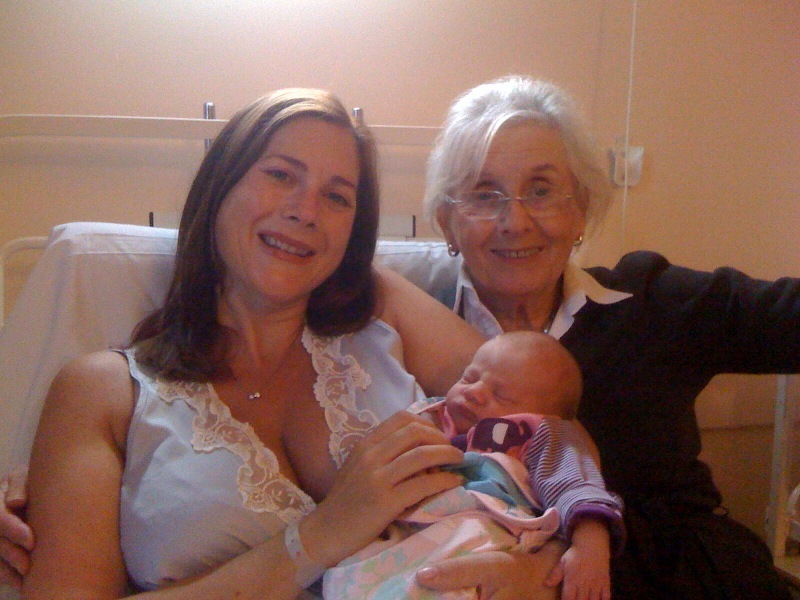 My worst nightmare woke me from my sleep at 3am on Saturday night, 4 days after my daughter was born, when my husband came into my hospital room and told me my lovely mum had had a massive stroke. My beautiful, vibrant mum, the woman who has shared time with me every day of my life, in person or on the phone, held me, comforted me, is lying in a bed looking 150, unable to speak, locked in a silent hell. Her eyes occassionally open and they see me. Sometimes they scream for me to help her. Sometimes they love me so intensly I feel the earth shudder with the force. In one week, I have had a new daughter whose eyes are dark pools of wonder that I have yet to discover, and my mum lies stricken, her eyes deep pools of fear and love – and a lifetime together of knowledge. My devastation is beyond my ability to comprehend, I don’t know if the ground will ever be steady again. In a week my world has transformed forever and two of the people I love most in the world are only open to me with their eyes. Somehow, I have to find the strength to be there for them both – and my girls and family. I have to look into their eyes and bring my baby forward, and bring my mum back. This entry was posted in new baby, stroke. Bookmark the permalink. Oh goodness me. So pleased to hear your new baby arrived safe and well, you look fabulous in the pictures, but then so very very sorry to hear about your mum's stoke. Just dreadful and so terribly sad. I'm so sorry. I'm so incredibly sorry about your mum. How terrifying for her and for you. And congratulations on your Ruby Rose. I, of course, love her name, and think her presence will be great comfort to you. Sending millions of positive thoughts to all of you. Huge Congratulations on the safe arrival of Ruby Rose. The pictures are wonderful, Ruby Rose looks like so safe and content, at home in your wonderful family. And I am so sorry for your mum. I wish you all much strength at this time. congratulations and may your mother come back from this. my mother had a couple of smaller strokes in the past year – nothing like this though, but i can understand what you must be feeling right now. you wrote it so honestly and well. Biggest of congratulations on the beautiful Ruby Rose, who is just perfect. And I'm so sorry about your Mother – how unbelievably cruel and shocking for you. Oh, I came on here hoping for happy baby updates and feel horrible to see what you are going through right now. I'm wishing your family much strength and good health right now and sending you lots of positive thoughts.